Chris Hughes’ 10 men suffer a damp 4-1 defeat to Barry Town United at Jenner Park. Second half goals from Macauley Southam-Hales, Drew Fahiya, Luke Cooper and Jordan Cotterill resulted in Newtown’s first defeat in the league since mid October. Robins skipper Craig Williams was given a straight red card in the second half after a last man foul on Kayne McLaggon. Newtown’s 5th league defeat of the season keeps them in sixth place in the Welsh Premier League table with 25 points, just two points ahead of Caernarfon Town as the battle for top 6 goes on. The hosts made three changes to the team that lost 0-2 to The New Saints over a fortnight ago. Modou Touray was serving a suspension and Christopher Hugh was away on Welsh Futsal duty. The first half was a pretty dull affair between Newtown and Barry Town as there was not much to highlight. Throughout the match, the rain had lashed it down onto Jenner Park as the wet weather would signal a miserable night ahead for the visitors. Hughes’ men started off well after three minutes when Nick Rushton picked up a brilliant ball in the box from Ben Bailey but ended up just missing the target. 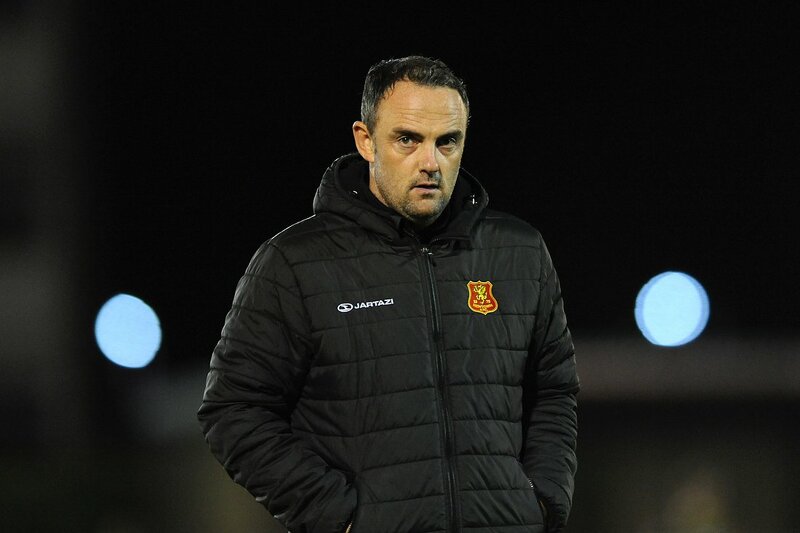 Barry Town, five minutes later, got their first opportunity of the game when Cotterill sneaked into Newtown’s penalty area with a blistering pace placing his shot straight at Robins’ goalkeeper, Dave Jones. The hosts started to rattle Newtown’s cage yet again just 12 minutes in when a perfectly taken cross from Southam-Hales finds Cotterill at the face of goal but was denied the attempted tap in after some scintillating defending from C. Williams. The opening 30 minutes saw Newtown defend very well against Barry’s attacking department. Jones made another important save just after the 30th minute mark when McLaggon picked up a through ball – but the perfect timing from Jones blocked McLaggon’s shot on target. After 45 minutes of play, it was all square at Jenner Park as the game needed a bit more of a spark in front of the S4C cameras. The second half proved to be a lot more eventful. Just three minutes after the interval, Newtown conceded the first goal of the game as Southam-Hales opened the scoring who slotted the ball into the bottom corner of the net. Before the second half was even 10 minutes, United had doubled the lead thanks to Drew Fahiya who picked up the loose ball in Newtown’s box before smashing the ball into the back of the net. Cotterill provided the assistance from the wing. Newtown looked to be struggling but when the match reached the hour mark, they found themselves a goal back. Steve Leslie found the net after picking up a rebound as the Barry Town defence failed to make a perfectly good clearance. But Leslie’s contribution proved to be just a consolation goal when the hosts made it three as Cooper headed home from a corner. 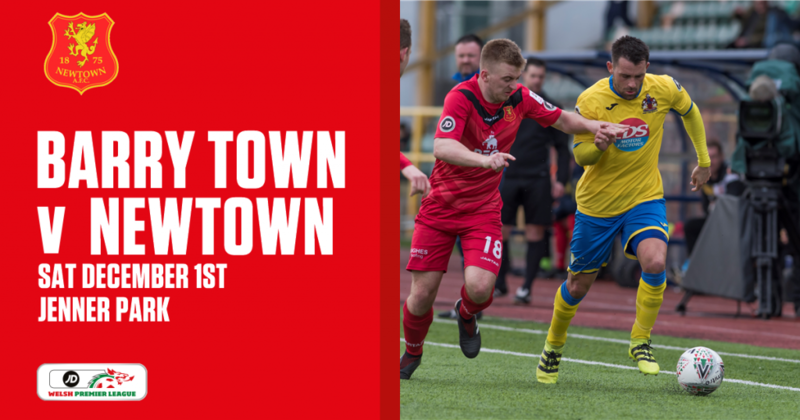 Two goals behind Barry Town and Newtown dug themselves a bigger hole when the club captain was given a straight red card with just 10 minutes remaining. Williams took down McLaggon as the team’s last man but the S4C camera angles show that the skipper got contact on the ball when making the tackle. It is Williams’ third red card of the season. United then put the game to bed seconds later when Cotterill added to his earlier assist to Fahiya by finding the bottom corner of the net. 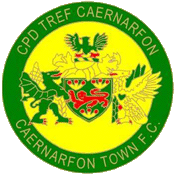 Barry Town United: Lewis, Southam-Hales, Cooper, Watkins, Morgan, Cotterill (L. Gerrard 87′), Patten (E. Press 90′), Greening, Green, McLaggon, Fahiya (Fry 87′). Newtown AFC: Jones, Williams, Roberts, Bailey, Mills Evans, Denny (E. Jones 74′), Fletcher, Mitchell, Boundford (J. Kenton 73′), Leslie, Rushton. Substitutes: Phillips, Kenton, E. Jones, Cook, Perry. The Robins’ next match on the fixture list is a Welsh Cup third round encounter with Cymru Alliance’s Rhyl at Latham Park.